Crazy about vintage fashion, where to buy? TaggedCrazy, Shopping, vintage fashion, where to buy? Make a difference and go to fashion is not something impossible. We know only bet on those clothes that make us unique and perfect feel knowing that no one else will have in their possession. How to do it? Betting vintage fashion. It is already known: fashion everything returns so why not bet on garment decades but again become trend. If you do not know where to approach, today we show the best boutiques around the world. From Barcelona to New York via Madrid. Do you take note? Vintage Lullaby: C / Riera Baixa, 22. If you drop by the Raval can find this vintage clothes shop selected and separated for years. The variety of style and unique collection of accessories make this a must for lovers of vintage fashion. L’arca de l’via: C / dels Banys Nous, 20. Specializing in vintage dresses and wedding, this shop is a paradise for lovers of this type of fashion. Delicate accessories, unique fabrics and designs that today are not found. Els Encants: C / Castillejos, 158. Here isone of those places that has to rummage well, but eventually one ends up finding what you’re looking at the best price. Els Encants is a kind of mythical market in Barcelona for a few seasons moved towards a much more renewed infrastructure. Biba Vintage; C / Velarde, 1 (Local 4). What do you need? From floaty dresses, through Hawaiian shirts and ending with denim shirts really cool. 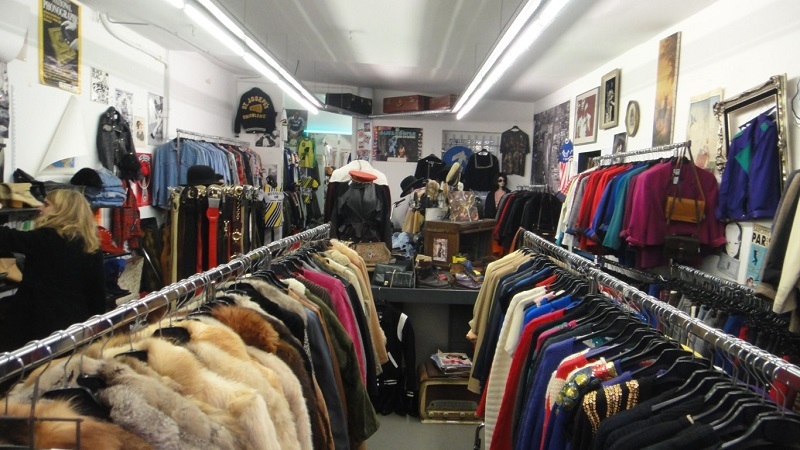 This shop is a little paradise of vintage fashion that you should not overlook. Czech mona: C / Velarde, 2. If you like vintage fashion and want to buy this exclusive, original and different piece that makes a difference in your closet, this is your place. With decor as fun, this boutique grabs you from the first contact. The trail: C / Ribera de Curtidores, S / N. As in Barcelona Els Encants, El Rastro is the best place to search, dig and find the best price. From clothes to furniture through gadgets. What vintage comes together every Sunday and holidays in the capital. Vintage Mania: Via Fratelli Bronzetti 11. The best firms have no place in this little shop downtown Milan where also find vintage clothes. From Louis Vuitton to Chanel Herms through, you better have a good budget to spend. Madame Pauline: Foro Buonaparte, 74. The French touch is present in this small boutique located at Foro Buonaparte. Jewelry, headdresses, bags … ons are the protagonists. Vintage Delirium: Via Giuseppe Sacchi, 3. The best designers are in this boutique clothing for many seasons. Best of Balenciaga, Christian Dior and Yves Saint Laurent with unique and timeless designs. GoldyMama: 14 Rue du Surmelin. Forget everything vintage stores make mothballs: this place shows that no. Garments of the ’50, ’60 and ’70, their selection of skirts and dresses will love (and surprising). Omaya vintage; 29 Rue Jean-Pierre Timbaud. They have everything that triumph today: from fur coats, boots through such country, leather jackets, denim jackets and so on. This place is perfect for all those who want to dress fashionably but make a difference down the road. Mamie: 69 Rue de Rochechouart. From ’30 to ’60 the years, this place has it all: hats, dresses, shoes, jewelry, accessories … Entering this place is back about four decades. New York Vintage: 117 W 25th St. Here’s one of my favorite stores in the Big Apple: with a lot of material to get lost for hours, his pieces are unique and print. From jeans with lots of history, through dresses fabrics and unique cuts. Mr. Throwback: 428 E 9th St. Back to the past, that’s what our minds think the first time you approach this store in New York. Sweatshirts, jackets, caps … But no, not about vintage clothing is a noventero (but equally moln) vintage. You want todress like Marty McFly …? Screaming Mimis: 382 Lafayette St. Dresses signatures and print coats. This boutique will catch from the first contact and only want to wear their clothes. Do you dare to renew your wardrobe? Buttons & Bows: 548 South Spring Street # 112. With a new and renovated space, this boutique contains tesoroso Marc Jacobs Prada but many years ago. Vintage fashion can also lead designer label. Vintage Flamingo: 548 South Spring St. Unit 113. Psychedelic prints, clothes in bright colors and lots madness in the windows. So Vintage Flamingo, one of the quintessential vintage shops in the city of Los Angeles. Hidden Treasures: 154 S Topanga Canyon Blvd. Here’s one of the best shopping in the city, but also the farthest from civilization. Characters known as Kate Hudson or Chiara Ferragni are dropped out there to be unique and crazy vintage pieces. The only catch? You can only get thereby car as it is located in the mountains near Malibu.